The prime minister mostly cares about the composition of a new Cabinet of Ministers. For today, there have been no discussions as to Arseniy Yatsenyuk’s future in case of his voluntary resignation. 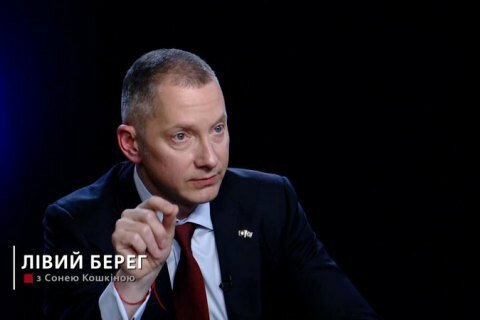 Head of Presidential administration Borys Lozhkin said this in the interview of the programme "Left Bank" with Sonya Koshkina commenting the information of Yatsenyuk's readiness to resign only providing that he clearly sees his further political perspectives. The possible options are said to be the National Bank and Constitution Court, although according to Lozhkin, he does not know anything for sure what would interest the current premier. "There have been no discussions as to Arseniy Yatsenyuk’s future yet. He, as I understand, is interested now in the programme of the future government, the coalition agreement, who will take the premier’s chair and the membership of the Cabinet of Ministers," head of the Presidential administration said and added: "There is no clarity regarding his (Yatsenyuk’s - ed.) political future. I think it will be rather positive." "Political guarantees can be provided to Yatsenyuk when the whole configuration of the future government system is clear. For today, it is not so," Lozhkin summarized.